Fifteen-year-old Bessie MacIntyre and her best pal, Ash, find themselves in Heaven, with no memory of how or when or why they ended up there. And when Jason—Bessie’s trusted companion since childhood, and later her boyfriend—appears out of the blue, she feels slivers of fear run up and down her spine. Is there a dark side to Jason she wasn’t aware of? Is he the reason they’re here? 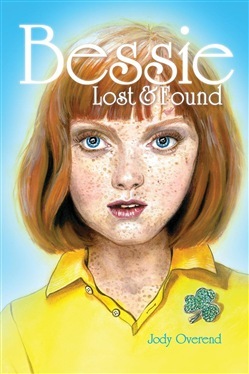 Desperate for answers, Bessie is willing to break the most sacred laws in all of Heaven on her quest. She has to know. Was it Jason? Or was something . . . or someone far more sinister involved? With the gentle guidance of Angel Mel, Bessie gradually unravels the truth. Acquista Bessie: Lost & Found in Epub: dopo aver letto l’ebook Bessie: Lost & Found di Jody Overend ti invitiamo a lasciarci una Recensione qui sotto: sarà utile agli utenti che non abbiano ancora letto questo libro e che vogliano avere delle opinioni altrui. L’opinione su di un libro è molto soggettiva e per questo leggere eventuali recensioni negative non ci dovrà frenare dall’acquisto, anzi dovrà spingerci ad acquistare il libro in fretta per poter dire la nostra ed eventualmente smentire quanto commentato da altri, contribuendo ad arricchire più possibile i commenti e dare sempre più spunti di confronto al pubblico online.